Macy Lockhart’s life shattered in a moment with the news that her husband, Finn – serving in the military overseas – has been killed in the line of duty. Their ardent marriage is over, leaving Macy alone, empty, directionless. But while she tries to sustain herself with memories of Finn, who made her and their small Texas ranch the center of his life, it is wealthy Wyatt Clark who slowly brings joy back into her life. Her love for Wyatt may be less romantic than the passion she once shared with Finn, but she vows to cherish him, and their marriage is happy and as solid as a rock - until the day that Finn, miraculously spared from death, returns home to claim his bride…. 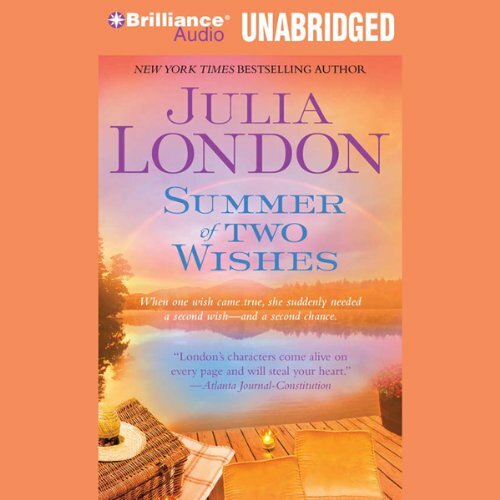 In Summer of Two Wishes, Julia London has crafted a deeply moving, passionate novel about a woman who must choose between the two men she loves. 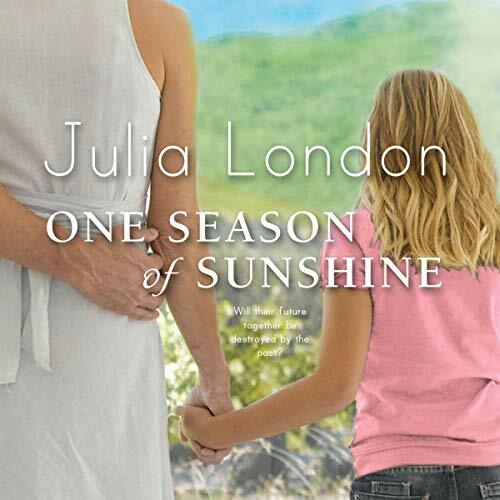 ©2010 Julia London (P)2010 Brilliance Audio, Inc.
Macy Lockhart’s life shattered in a moment with the news that her husband, Finn – serving in the military overseas – has been killed in the line of duty. Their ardent marriage is over, leaving Macy alone, empty, directionless. But while she tries to sustain herself with memories of Finn, who made her and their small Texas ranch the center of his life, it is wealthy Wyatt Clark who slowly brings joy back into her life - until the day that Finn, miraculously spared from death, returns home to claim his bride…. Elementary school teacher Jane Aaron cancels her summer vacation plans and heads to Cedar Springs, Texas, to find her birth mother. While there, she’s hired by Asher Price, a wealthy widower, to look after his 13-year-old daughter, Riley, and five-year-old son, Levi. Around town, Jane also hears rumors that an older woman was killed in the same car accident that claimed Asher’s wife.